Are your children fans of Captain America, Thor, Iron Man or the Hulk? 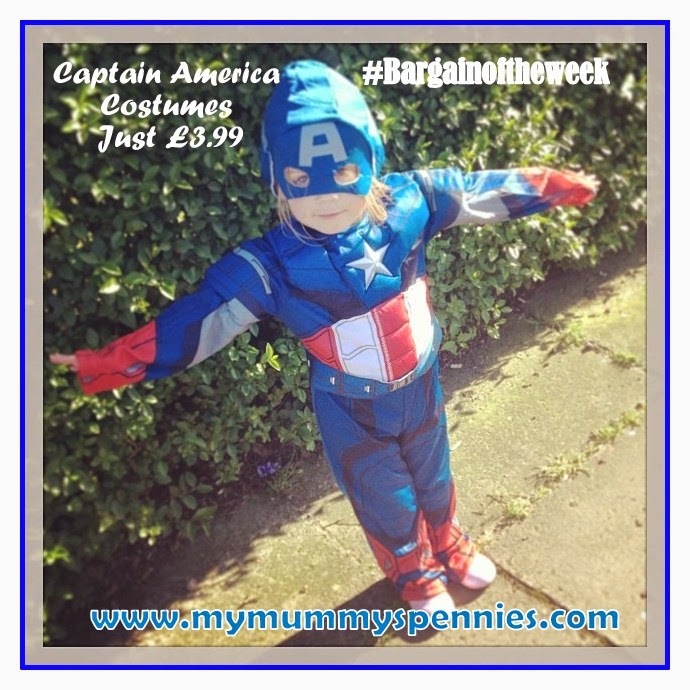 Both my son and daughter are mad about Marvel, especially The Avengers, so I was rather excited when my friend and fellow bargain hunter Pippa posted in the Mymummyspennies Money Saving Group about a selection of Marvel dress up costumes she had seen for just £3.99 in her local Home Bargains! She had immediately purchased Thor for her eldest superhero Bud. The next day I nipped out to our local franchise Quality Save but was disappointed to find they only had Captain America left and only in age 3 - 4. This was ideal for my 3 year old daughter who was delighted to meet 'Captain America' at Hamley's last month, however I really wanted to treat my son also. This is where Pippa came to the rescue again and managed to get not just a Captain America in size large for my eldest but a Thor for both of them too! The sizes available were S (3-4) M (5-6) and L (7-8) - not all were available in all stores but at that price it worth a look! So if you have a mini Marvel fan who not pop down to your nearest Home Bargains or Quality Save and see what's left? They are fab, aren't they? And she look so sweet. Oh my goodness! IRON MAN??! 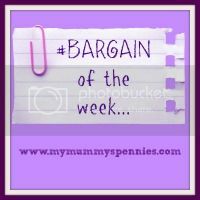 Am hot footing it off to Home Bargains as we speak- I love that shop at the best of times!! shame too small for mine! As my kids are half American I feel like I should go out and get me two!